Omaha South shut out Creighton Prep, 2-0, to claim the Metro boys' soccer title. OMAHA, Neb. 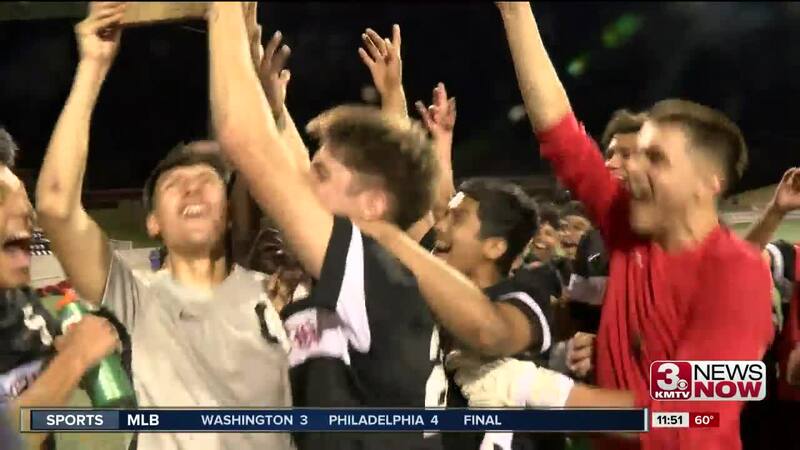 (KMTV) — Omaha South handed Creighton Prep its first loss of the season by beating the Junior Jays, 2-0, to win the Metro Conference Tournament title on Monday night. Omar Fregoso scored the go-ahead goal for the Packers in the first half as Omaha South improved to 11-0 on the year.